Home Latest INEC: A Wasted N27bn Investment in Technology? Following the drastic improvement in the country’s electoral process during 2015 elections, which was adjudged to be free, fair and to a large extent acceptable by all, it was expected that the Independent National Electoral Commission (INEC) would build off on its own record by conducting a much freer, fairer, more transparent and credible elections in 2019. But this was not to be as INEC under the leadership of Prof. Mahmood Yakubu, despite the huge budgetary provision given to it, has conducted about the worst election in the history of the country. While the 2019 election was not free, fair or credible, it was equally not acceptable by all. 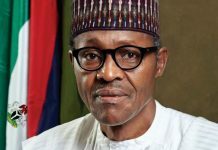 Political analysts have opined that the All Progressives Congress (APC)-led federal government under President Muhammadu Buhari has returned Nigeria back to the 1983 era. The electoral body was even unable to match the standard it set in 2015. Rather, it was only able to return the country’s electoral process back to the wilderness. In the run-up to the elections, INEC chairman had assured delegations of the European Union (EU), United Kingdom (UK) and the United States (US), African Union (AU), ECOWAS and various observers mission that the commission would surpass its 2015 achievement. “We are good to go for the 2019 general election. We are aware that the election is going to be an intense media event but only that international community will also intensely watch the processes as they have always done and I want to assure you that we will not fail the international community and will not fail the nation. “We are aware that the long term EU observation mission is on ground, and also the ECOWAS observation mission, so, the international community is already in Nigeria for the elections. 2019 elections will be credible; we will jealously guide the processes. We will ensure that the processes lead to the outcome that all Nigerians expect. Nothing but free, fair, credible elections will be good enough for the commission,” Yakubu added. A critical review of INEC’s budgetary allocations showed that the cost of elections has been rising since the country’s return to democracy in 1999. The total budgetary allocation INEC has received from the federal government from 1999 to 2018 was N730.99 billion. The electoral expenditure started with N1.5 billion in 1999 to N29 billion in 2002, N45.5 billion in 2006, N111 billion in 2010 and down to N87.8 billion in 2014, while a total of N236.7 was spent on the 2019 elections. Out of the huge sum budgeted for the 2019 elections, about N27 billion was spent on technology, which includes enhancement, replacement and procurement of the use of Smart Card Readers to consolidate the success of the 2015 elections. The Smart Card Readers were introduced in the 2015 general election to facilitate the accreditation of voters using the Permanent Voter Cards (PVCs). It also helped to know the total number of accredited voters in a particular polling unit, while also checking over-voting. 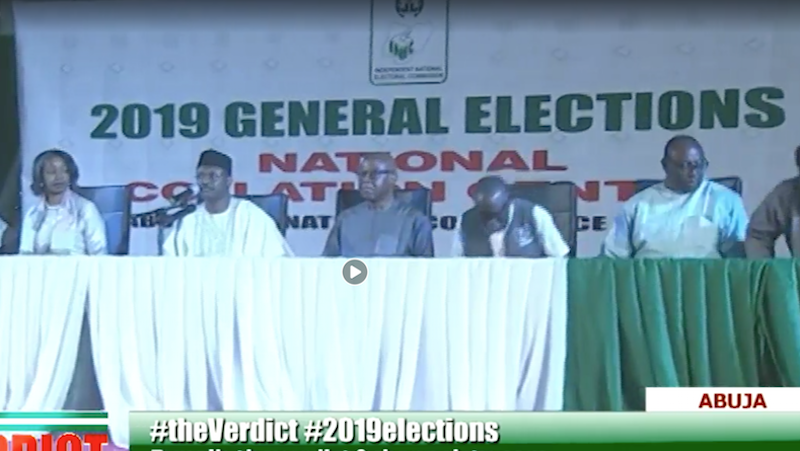 At the national collation centre before declaring Buhari winner of the election, the INEC chairman said a total number of 82,344,107 ‘collated voters’ were registered for the election as against over 84 million registered voters in the commission’s data base. He also declared 29,364,209 voters were accredited, while the total number of valid votes was 27,324,583; and the total number of votes rejected was 1,289,607; while total votes cast was 28,614,190. This means that a total of 1.6 million people were missing in the voter register, considering the fact that the number of registered voters was over 84 million, while the number of collated voters, according to INEC chairman, was over 82 million. Baffled with the discrepancies, the PDP agent and former Minister of Aviation, Osita Chidoka, who was at the national collation centre observed that the main opposition party did not accept the result as representing the valid votes of Nigerians. He stated: “We have made three issues; first, after all the investment in technology, we required INEC, after spending N27 billion in this year’s budget alone for technology, we had expected that today, INEC would have for the purpose of transparency not just for law, projected to us the result of what the card reader that they used displayed about the people that went through the card reader verification, that singular act puts a dent on the image of the election. “The second one is the issues we raised about the number of registered, vis-à-vis what the chairman now calls collated voters means that 1.6 million people are missing in the voter register. 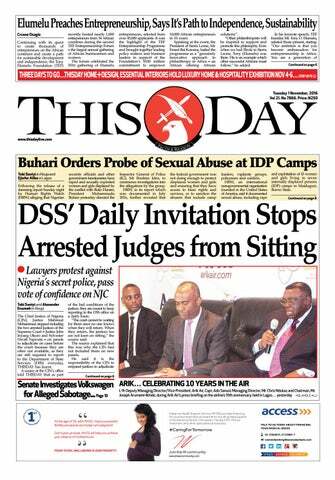 We also believed that the difference between the accredited voters and the votes cast, which came to about 750,000 votes requires an issue to be looked at,” Chidoka had said. 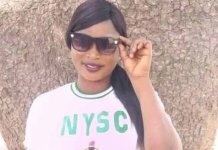 But despite the protest by the PDP, Yakubu said, “In relations to the issues raised, there are specifically three of them that the commission wishes to make some preliminary statement on. We said preliminary statement, because during collation we haven’t had all the time in the world to look at these issues in-depth. “The first, one is that the figures of accredited voters in relation to the votes cast were not adding up in one or two instances. We have noticed that and our preliminary investigations and analysis revealed there are a number of figures that were carried from the field and were adding up and the states were also adding up from 176,000 locations nationwide as polling units and voting points. This showed that the purpose of SCRs was utterly defeated as the number of voters from the polling unit did not add up. 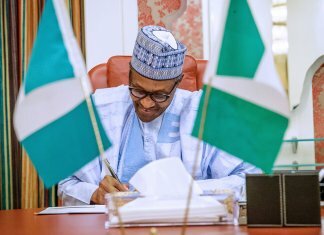 Also, the issue of figures discrepancies resonated last week when Presidential candidate of the PDP, Alhaji Atiku Abubakar and his party filed their case before the Presidential Election Tribunal, where he claimed that data from the server of INEC revealed that his votes were reduced in 31 states and the Federal Capital Territory (FCT). Atiku therefore claimed that he defeated Buhari with 1,615,302 votes, adding that the data from INEC server showed that he actually polled a total of 18,356,732 votes to defeat President Muhammadu Buhari, who had 16,741,430 votes. 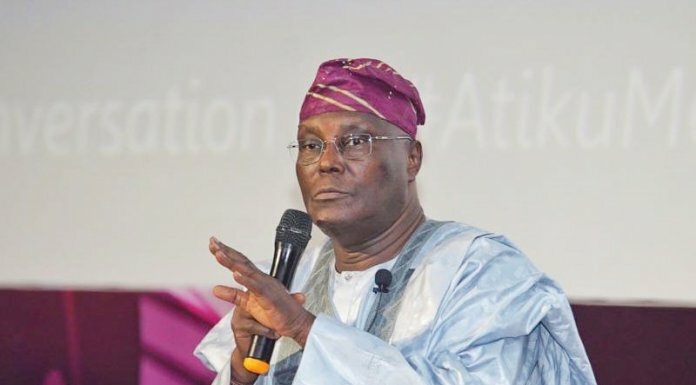 Atiku stressed that the commission published numbers of registered voters before the election but recorded a totally different figure in its Form EC8D (A). Atiku also claimed that he had 778,369 votes in Delta, instead of 594, 068; in Ebonyi 565, 762 instead of 258, 573; Edo 677,937, instead of 275,691; Enugu 698,119 instead of 355,553; FCT 419,724 against 259,997; Gombe 684,077 against 138,484; Imo 485,627 against 334,923; Jigawa 539,522 against 289,895; Kaduna 961,143 against 649,612; Kano 522,889 against 391,593; Katsina 160,203. The former vice president claimed that in Kebbi, he had 493,341 votes against 154,282 votes; Kogi 504,308 votes against 218,207 votes; Kwara 353,173 votes against 138,184; Lagos 1,103,297 against 448,015; Nasarawa 344,421 against 283,847; Niger 576,308 against 218,052; Ogun 438,099 against 194,655; Ondo 451,779 against 275,901; Oyo 527,873 against 366,690; Sokoto 552,172 against 361,604; Taraba 442,380 against 374,743; Yobe 306,841 against 50,763 and Zamfara 379,022 against 125,123. The petition stated that the commission inflated the scores of the party in Osun and Plateau States. 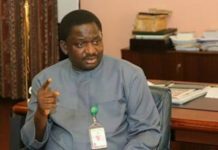 The document also added that the party recorded 337,359 votes in the data available on the server, but the commission credited the party with 337,377 votes; likewise in Plateau, where the party garnered 273,031 votes, as against the 548,665 recorded by INEC in its final collation. Beyond the case being put forward by Atiku at the tribunal is the fact that INEC has let down the system and the Nigerian people by failing to live up to billings especially, given the amount of money since sunk into it for effective delivery of the 2019 elections. Sadly, it appears a totally wasted investment if this embarrassment of a result is all that the commission could post. Next articleThere’s Staggering Insecurity in the Land!